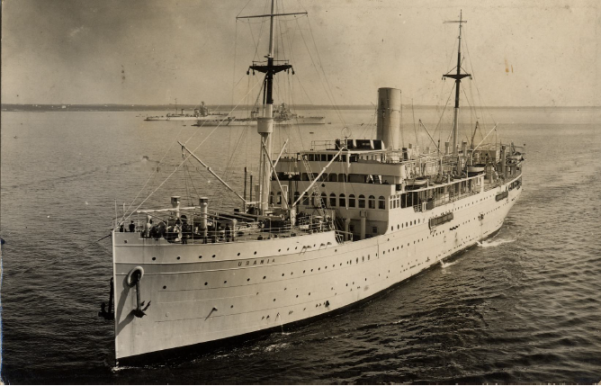 This cargo-passenger vessel was built in Trieste, Italy and launched in September of 1916 as the Hungaria. She weighed over 7,000 gross registered tonnes and was over 125m long. Of her four cargo holds two were in the bow section and two in the aft section. The passenger accommodations were right above the engine room. 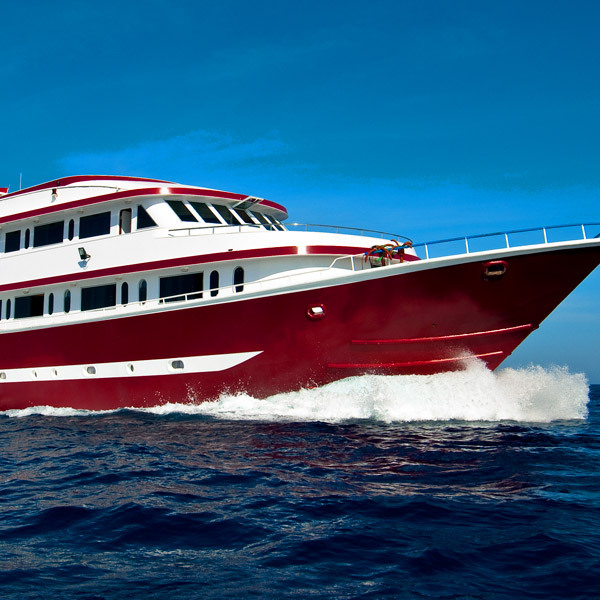 She was designed to accommodate 133 passengers in first class and 46 passengers in second class. There were dining rooms, smoking rooms, music rooms for the comfort of the passengers. 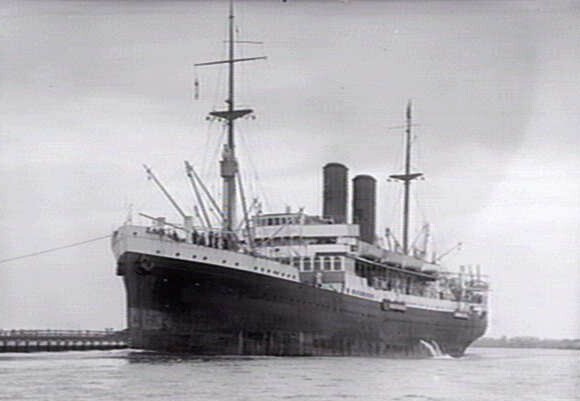 In the 1930s, during the wars in Africa, the Urania was used as a troopship. Just like the Nazario, she was trapped in the Red Sea in 1940, when Italy officially entered the war. She was immediately laid up at Massawa but with Eritrea about to fall into British hands, the ship was moved to the Dahlak Islands and was sunk on April 10, 1941. Initially powered by two triple-expansion steam engines, capable of producing 853 NHP and a top speed of 14 knots, she was refitted with an oil-fired system in 1924. 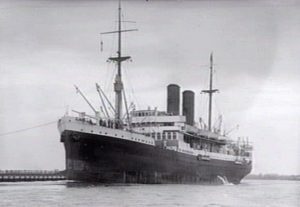 Her name was changed to “Genova” in 1923 and to “Urania” in 1933. She was refitted to accommodate 60 passengers in first class, 139 in second class and 200 in third class. However she was still too small and not powerful enough to compete with the huge trans-Atlantic ships and she was used for service between Italy and her colonies in Africa and the East. The Urania rests in shallow waters, lying on her port side. The starboard side behind the bridge is at surface level. There is a large hole on this side, probably caused by the explosion when sinking the vessel. The bow section is the deepest part of the wreck, resting on the seabed at 23m. The entire metal structure is coated with thick coral encrustations which are home to a diverse selection of life forms and making this a virtual coral reef. Between the two forward cargo holds the main mast is still virtually intact and lies along the seabed complete with a crow’s nest. The deck winches at the base of the mast are also still in their places. Next to this part on the seabed can be found a huge chainless anchor which is presumed to be a spare one. The port- and starboard-side anchor chains hide a marvellous life of anemones, sea lilies, hard coral sponges, sea urchins and various fish. The bows are intact and covered with sea-whips. The cargo holds are empty but the hatches are open, allowing for entry but with great care as the wreck is in a state of collapse. 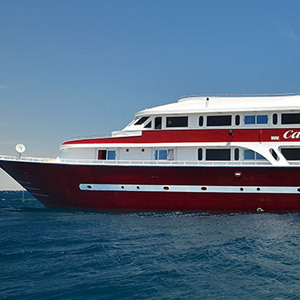 The most exciting part of the dive are the accommodations areas. While the ship was laid up in Massawa for about a year, almost all usable parts and commodities had been removed. Now the wreck holds only the basic structure however a swimming pool is still visible left behind after upgrading amenities along with a bathtub. The empty aft cargo holds are also open. From here the rear mast stretches into the sea and lies on the seafloor. Since this part of the wreck is at water surface, there is considerable damage to the decks. This part is kind of collapsed onto itself and it is difficult to piece together which parts belonged to where exactly. However a rich bird population has claims over this area. There are storks, herons, seagulls, kingfishers and countless other bird species. The aft section hides the huge rudder and the propeller shaft supports (the propellers are long gone).